We’d all love to fly like a bird. In Florida there’s machine that will let you. 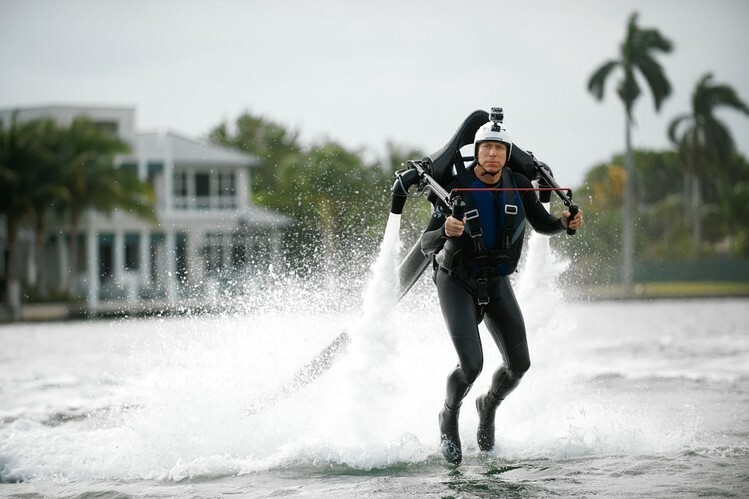 This is the JetLev a crazy water powered jet pack. Most small boys who watch action movies rarely end up getting to do things the hero does….but just occasionally – one gets lucky. Back in 1965, Raymond Li a former accountant-turned-inventor, saw James Bond fly a jet pack in the movie Thunderball. “What I really wanted to feel is what I felt in my dreams when I was floating around in mid air, the jet pack, closest thing to it. Back in 1965, saw Thunderball, that’s when it all started, dreamt of being able to do what James Bond did. Raymond was just 13 when he saw that movie. He has devoted 40 years to creating his own one – except his one runs on water! He calls it the JetLev. 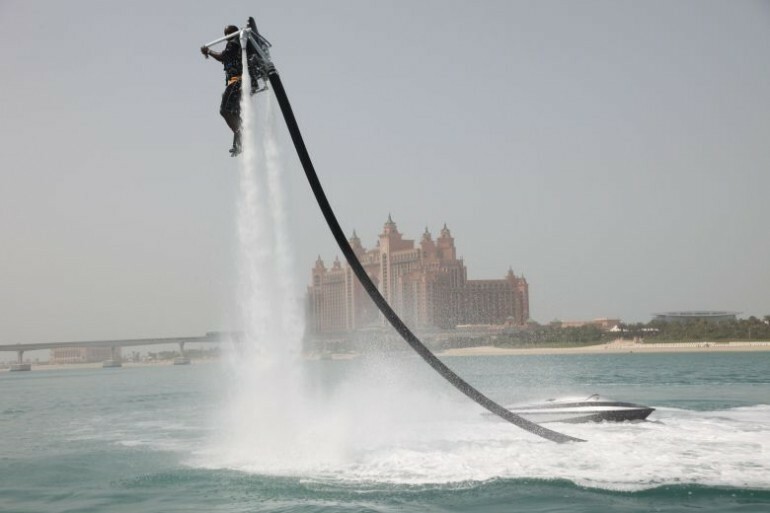 “The Jetlev can lift a person up to 30ft, go 35mph, it can do a lot of things you can’t do in an aircraft or helicopter of the high thrust to weight ratio,” he says. To solve 007’s first problem – short-lived fuel supply – Raymond turned to the one other option he knew there was no shortage of – water. But even with water as fuel the jet pack’s huge weight would be a real obstacle to flight. And then inspiration struck: by separating the jet pack – and the petrol powered water pump – the jetpack got lighter – so needed less power. With the jetpack being fed by water pumped up from the trailing power unit, Raymond had seemingly solved all the weight and balance issues – the only thing left, was to test it. “So we had the first flight on March 5th 2005 … and we actually flew for about 3 minutes” says Ramond. “The most exciting moment was when I flew it for the first time …being able to lift yourself up into the air and hover, having that stability, no vibration from the rotor a helicopter, no vibration from a jet engine in the background, that was sensational. But after a fantastic start, Raymond kept having to go back to the drawing board. Finally, after eight years and hundreds of improvements later – the Jetlev has gone into production and is on sale. Raymond’s tenacity has paid off – it’s been an instant hit. So far, at $100,000 dollars a pop the JetLev is a plaything for the likes of Goldfinger but if the price does come down, we can all look forward to soaking people on their sun loungers.